During the weekend of 26 to 28 October, the Museum of Science (MUNCYT) of Coruña (Galicia) organized the so-called “Climate Change Weekend”, an educational science conference focused on climate change. During these days, students and a general audience visited the museum and attended the different exhibitions, conferences and workshops. These activities are designed to foster public awareness on climate change to enhance knowledge, values, attitudes and the commitment needed to protect and improve the environment. FOL member Elena Fontán ran two workshops: the first of one was held on Friday and targeted students of several high schools of Viana do Bolo and A Coruña (Galicia, Spain). Students learned about the significant role of climate change in the marine environment applying the Ocean Health Index to the Ría of Coruña, Ría of Vilagarcía and Ría of Ferrol, so they had to combine environmental and social interests in a interdisciplinary applied methodology. On Sunday, Elena interacted with children from ages 6 to 12 old in a very fun workshop, talking about climate change and its impacts on marine resources, highlighting the importance of sharing resources within sustainable management. 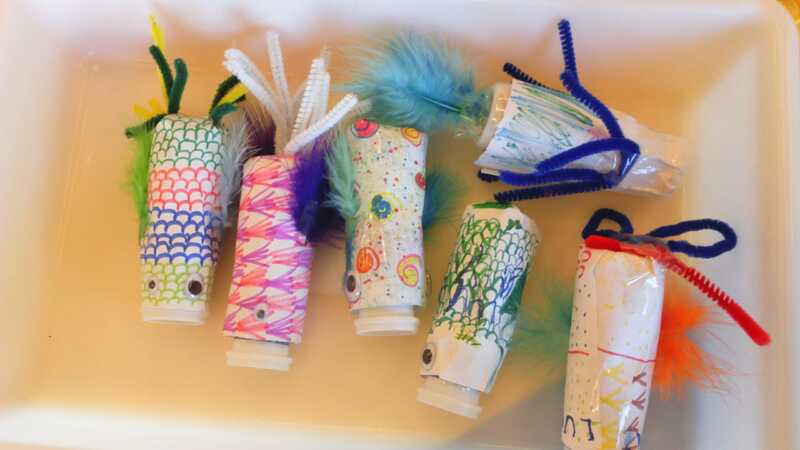 During this session kids build fish with recycled fish made by their own. The activity allowed the kids to understand the meaning of the “tragedy of the commons” problem, using the fish as part of a role-play game. From here we thank the MUNCYT and FECYT for the opportunity of being part of the Climate Change Weekend. We enjoyed a lot.